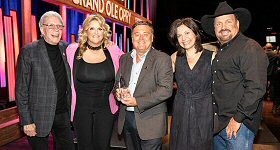 Citadel Broadcasting has agreed to sell KKAT-FM (Country Legends 107.5)/Salt Lake City, a class C (43kw) to EMF Broadcasting. Terms were not disclosed. EMF, a Christian radio broadcaster, will assume control of the station under a Local Marketing Agreement (LMA). The Classic Country format is gone and KKAT flips to Contemporary Christian as part of EMF's K-Love network.